Smart Assistants are aimed at empowering their users to perform various day-to-day tasks conveniently. Major technology giants have already entered this domain. Apple Siri, Amazon Alexa, Microsoft Cortana, Google Assistant, and Samsung Bixby are the leading names that come to my mind when talking about digital assistants and Internet-of-Things devices. Various startups are also based on this concept, and much more is yet to come. 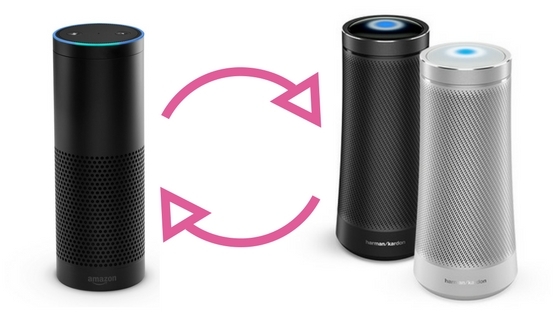 Each of these voice assistants is capable of performing a standard set of tasks. Moreover, each one of them boasts of features unique to them. For instance, it is easy to shop on Amazon and control smart home devices from Alexa than from Siri or Cortana. Alternatively, it is easy to make Skype calls and perform tasks on Office suite from Cortana when compared to Bixby or Google Assistant. Depending on the ecosystem you are in, you may opt for the most compatible assistant, i.e., one from the same brand. If you own all devices from Apple, you will undoubtedly go with Siri. If you own Windows-based handheld and computers, Cortana will be the choice. However, the irony is that these virtual assistants are so unconnected from each other in this connected world. You cannot avail the services of one Smart Assistant while owning the other. Not anymore. Amazon and Microsoft have announced that Alexa and Cortana will be able to talk to and understand each other, thereby opening many new possibilities for Echo and Windows 10 users. You can say "Alexa, open Cortana," or "Cortana, open Alexa," and as expected, the other voice assistant will appear to serve you. Amazon says the two virtual assistants will start talking to each other later in the year.